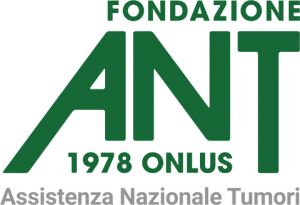 Founded in 1978 thanks to the initiative of the oncologist Franco Pannuti, ANT is the greatest free home hospital in Italy, provides specialized care for people with cancer and organizes cancer prevention activities. ANT has brought free health and social care in the homes of more than 100,000 people with cancer. It is a full, continuous and integrated service! More than 4,000 people are assisted every day at home by 20 Teams of doctors, nurses, psychologists who work for ANT and provide hospital care. An innovative territorial network of private care centers for social and health needs of Italian families. Innovative because its areas of intervention are not limited to delivering home care services to the "elders", but extend to the "kids" - with activities and projects aimed at the world of children - the "health" to provide in-home services and "welfare" with alongside initiatives of institutions and businesses in their role as family support and employment. It is the first and only company with capital entirely Italian, specialized in setting and managing support services for the Public Welfare, the Company's Welfare and Territorial Welfare. It 'a society of "QUI! Group spa", leader of the SETTORE DEI TITOLI DI SERVIZIO, the loyalty systems, the merchant concessions, monetics and payment instruments with over 700,000 customers daily served.